It may seem odd to have an elder who is younger than you. If you have ever wondered why the UMC calls preachers elders, have I got the blog post for you. Elder is a translation of the greek word, ‘presbyter’, which is both the root word of Presbyterian and priest. Greek has a word for priest as well that the early Christians chose not to use. When the book of Hebrews calls Jesus the great high priest, it is ἀρχιερέα. It points to the priest in the Greek tradition, not presbyter. A priest makes a sacrifice and Jesus offers the sacrifice and is the sacrifice as the lamb of God. Okay, it gets pretty complicated pretty quickly once we get going in the greek, but I want us to pull on back to the English and talk about the word, Elder. An elder is usually someone who is older, but it is always some who is wise and experienced in certain things. Think about the elders of a community. In the ancient world, elders were people who had survived life. That is praise enough in a world with such a sky high mortality rate. “Elders are ordained ministers who, by God’s grace, have completed their formal preparation and have been commissioned and served as a provisional member, have been found by the Church to be of sound learning, of Christian character, possessing the necessary gifts and evidence off God’s grace, and whose call by God to ordination has been confirmed by the church” (ibid). The UMC has an itinerate polity. I will explain this strange term in more detail soon, but for the time being, the basics of itineracy is that elders are appointed by a bishop and move around. Elders are sent. Churches receive. Some elders you as a church receive are loved by all. Some are not. The point of an elder is not to be loved but to be ordered for this life of ministry. Elder is a biblical term. In Paul’s letter to Timothy, he even says elders deserve a double honor, but there is a catch at the end. Because elders are set apart, they are accountable to the whole body of the church. Elders are held to a higher standard of behavior in the scriptures and in the UMC. Pragmatically, elders can administer the sacraments of the Lord’s Supper and Baptism. All Christians are ministers of Jesus Christ, Elders (like the other group that is ordained, the deacons) are set apart in specific ways for specific reasons following the tradition of the church since the time of the Apostles. Next week, we’ll look at the second order, the deacons, who they are, what they do, and why the UMC is so much richer as a church because of them. My brother hiked the last 100 miles of the Appalachian Trail with me. When he asked what it would be like, I said, ‘Oh, just a few ups and downs.’ That is how I saw the situation. I had been hiking for 4 months. My brother had been sitting at a desk for 4 years. We had different understanding of what a few up and downs meant. Or to slightly shift the analogy, I can say it is finished at 12,000 feet when I give up or at 14,206 feet when I get to the summit. They each have different meaning. The disciples hear one meaning from the foot of the cross. They think Jesus is giving up. In light of Easter, we understand a very different meaning. We see on the cross the absolute commitment of God for us. The absolute reality that Emmanuel, God with us, humbled himself to even death on a cross. Yet the cross is not the end of Christ’s work. In 1 Peter, we read that Christ, after the cross, went to proclaim to the spirits in Sheol, in Hell. Christ does not simply stand in solidarity with us who are living and suffering but also with those who have gone before. As Paul says in 1 Corinthians, Christ defeats death and to do that takes more than just dying. We must not rush to Easter. Christ did not rush to Easter. It was not enough to suffer and die. Christ had to stand with the dead. Only their would Easter be possible. Only with that solidarity could death be defeated. After this, Jesus, knowing that all was now finished, said (to fulfill the Scripture), "I thirst." A jar full of sour wine stood there, so they put a sponge full of the sour wine on a hyssop branch and held it to his mouth. I thirst. When are we truly thirsty? The Scripture being fulfilled is Psalm 69 which begins, Save me Oh Lord, for the waters have come up to my neck. Save me, Oh Lord. Even Jesus thirsts. Even Jesus is desperate for the water of life. One time, many years ago, before I was experienced in the outdoors, I went hiking with my brother and sister in law in Big Bend. We hiked in the desert plains below the Chisos mountains. We had stored some water ahead on the trail before we began but the day was hotter than we expected and we ran out. We only came across shade once or twice a mile. My sister-in-law started to faint and so my brother stayed with her in the last shade spot we could find. I left my pack, since it was too heavy, and went ahead looking for the water, hoping it was still there. I was truly thirsty. My body ached. I was falling forward more than walking. It was about a mile and half with the sun crisping me over(I had stopped sweating for, at least, an hour). About halfway through, I started hearing voices. I was hallucinating. I turned around, once, after a voice and tripped and fell. I laid their for minutes before rising to walk again. I thirsted. Jesus was tired. Crucifixion kills through many ways. You can die on a cross from heart failure, hypovolemic shock, acidosis, arrythmia, sepsis, dehydration, or, most commonly, asphyxiation. Exhaustion leading to oxygen deficiency leading to heavy breathing. He was on the cross for three hours and this fifth word is near the end. 'I thirst'. There is nothing modest here. We see the desperation of God, the willingness of God to go even further for us. Jesus does not ignore his body. He thirst. Darkness has fallen across the land. Our Lord and Savior has been in agony for hours, and he thirsts, and what do they give him but sour wine. And he drinks. Because he is tired. Eternal life is not simply living forever. Jesus thirsts. The pain is real. The exhaustion is real. He has nothing left yet he still cries out, he still drinks, he still has two more words to say. The Seven Last Words: My God, My God, why have you forsaken me? If even God is forsaken, what does that say about me? With these words, we have turned the corner on Good Friday. No longer is the focus on the others around him and in his life. 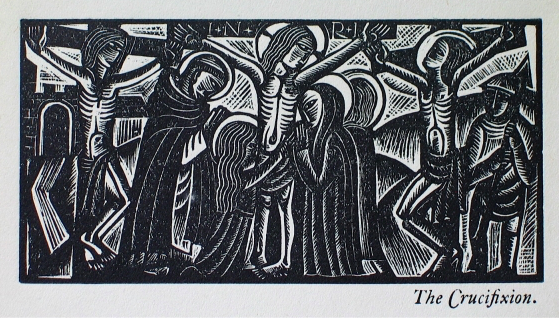 Here, on the cross, the gaze of Jesus turns to himself. My God! It is possessive but not personal. Over and over again, Jesus says Father, but not here. My God! In this verse, he quotes the first lines of Psalm 22. The separation between Father and Son in the Trinity is almost finished. The bond of the Three-in-One is stretching so, so wide, that we barely imagine the possibilities of what is about to take place. 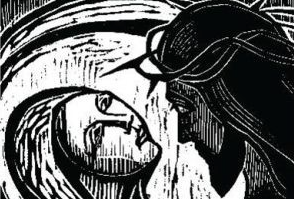 From our post-Easter posture, we may say, “Don’t worry, Jesus, it is going to all work out.” Yet that idea gives no comfort in the midst of agony. Pain and death are horrible, yet they are not triumphant. In the Jewish context in which Paul was writing, to call Jesus Lord is not simply to call him the king or ruler. In Hebrew, it is forbidden to speak the name of God aloud. In day to day life, God is referred to as ‘Hashem’ or ‘the name’. In worship, God is referred to as ‘Adonai’ or ‘Lord’. To confess Jesus as Lord is to confess Jesus as God. To understand that God loves us, saves, and calls us to something more. In the suffering we see on the cross, most prominent in the cry, ‘My God, my God, why have you forsaken me’, we, each can both understand the question and receive the answer. Through those times when it feels like God has forsaken us, we can look to Jesus and see that that is not so. We forsake ourselves, but God the Father through Jesus the Son with the Holly Spirit redeems us. Many years ago, John Wesley, the founder of Methodism, said the following about Jesus and Mary. I believe that Jesus was made man, joining the human nature with the divine in one person; being conceived by the singular operation of the Holy Ghost, and born of the blessed Virgin Mary, who, as well after as before she brought him forth, continued a pure and unspotted virgin. In the mystical way that we are all the sinners yelling "Crucify him" and not knowing what we do, we are also the beloved disciple whom Jesus tells, "Here is your mother". Jesus tells us that Mary is our mother. 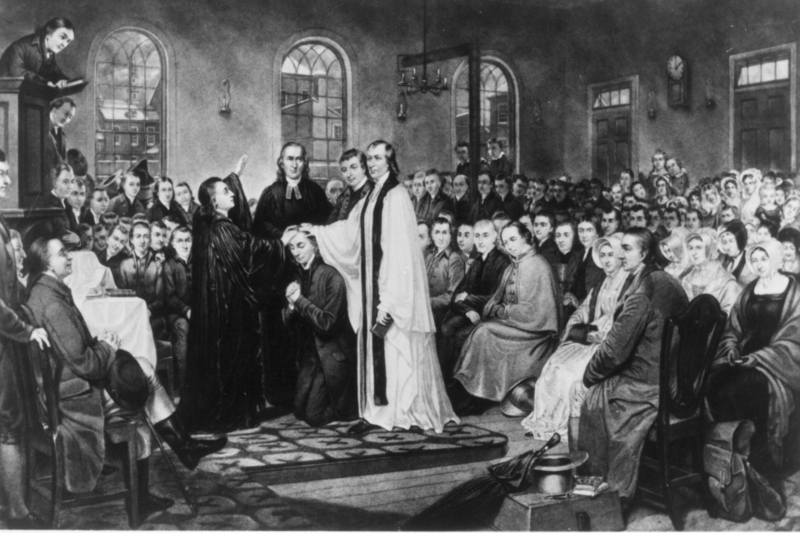 John Wesley tells Catholics, in a time of great Catholic persecution in England, that Catholics are his brothers and sisters since they equally believe many things including the blessedness of Mary. Mary who said yes to God and showed us how to say yes to God. Mary who reminds us that Jesus is human as well as God. Jesus had flesh like our flesh. Jesus took the form of a servant, was born in human form as the perfect imprint of God and that form came into this world through Mary. Mary sings out the song we all should sing. My soul magnifies the Lord and my spirit rejoices in God my savior for he has looked on the humble estate of his servant. Mary receives God into this world with her yes. With Jesus's third word on the Cross, we see that we have, in Mary, a mother who understands our suffering, our pain, as well as our Joy, and still loves us and shows us how to receive God into the world. Jesus tells us to remember Mary. That in Mary, Christ came into the world. When we forget Mary, we forget the humanity of Christ, we forget that God understands who we are, where we are, where we have been, and what we truly need. The Seven Last Words: I assure you that today you will be with me in paradise. Scripture ‘Do not put the Lord your God to the test.’ (Matthew 4:7) On the cross, he does not respond. Another speaks for him. The second man doesn’t need to speak. He is going to die. He is dying. The pain of the cross is tearing him apart as the conversation is taking is taking place, but he confesses. ‘We are rightly condemned.’ He confesses to the justice of his own punishment and to the injustice put upon Jesus. Paradise? really? But he is a killer and a thief, why would you want him there. Is paradise heaven? You didn’t speak much of paradise before now, Jesus, what changed? Confession. Repentance. Hope, all among the agony of the cross. There is no limit to mercy. There is no line beyond which we cease to be human, cease to be created in the image of God, cease to be loved. In lent, we must remember this hard truth. As well, we should not wait until the nails have been driven into our wrists. We must turn now. We must rend our garments, wash ourselves clean, offer ourselves openly, and receive the mercy we do not deserve but which we are still given by the one who did not deserve to die but who still suffered death for our sake so that all might live. I desire mercy not sacrifice, God says to the prophet Hosea. The final words of Christ begin with mercy. Yet it is an odd kind of mercy. 'They do not know what they are doing', he says. The people who crucify Jesus are surely conscious of their actions. In what way do they not know what they do? Broadly speaking, Christ's first word on the cross is a description of us all when we sin. All of our sins, all of our actions against the peace of God, against the Shalom of God, all of the ways we hurt our neighbors and ourselves we do without really knowing what we do. We may, from time to time, deceive and realize that we are deceiving, but the magnitude of our action is never apparent. In our sin, we put Christ on the cross because Christ takes away our slavery to deception. Christ's freedom means we don't have to just think of our selves and our own pleasure, yet sometimes we want to. Sometimes we are tired of being good and we just desire our own self fulfillment. God is not angry with us for God only ever loves us. God wishes to take away our lust for power. To take away our pride. That is the mercy of Christ on the cross. Christ's first word is to us. Even though we don't know what we do, Christ still shows us mercy. Even when we think we know what we do, Christ still shows us mercy. When we deserve curses and damnation, we are given mercy. 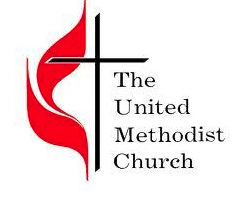 In the last 50 years, the Social Creed has been mostly sidelined by more conservative UMC congregations or promoted by more liberal congregations. These petty caricatures guide many people’s expectations of a church but they should not guide our understanding of statements of faith like the Social Creed. The final word on all our social relationships does not come from anthropology or sociology or any other field, it comes from God. When we speak of creation or human rights or or the rights of workers, ultimately this comes from who God is and who God has revealed Godself to be through the Scriptures of the Old and New Testaments. As Tisha Rajenda says, "the whole Bible, rather than just a handful of texts, supplies a moral vision for the Christian life" (Migrants and Citizens, 95). How Christians relate to others and to the Lord begins with who God is. We try to live out what God has done, is doing, and will do. We try to participate in the inbreaking Kingdom of God by being the hands and feet of Jesus. This means announcing Good News to the captives, but also manifesting life in the world. How can we be a community that manifests life? I think that that is the ultimate call of the Social Creed. The Kingdom of Heaven is not a far off thing. It is a right here thing, and we show this kingdom in how we act and love. Are we people of the light? Do we treat our neighbor as if Jesus is Lord or as if we are? Do we treat our world as if Jesus is Lord or if we are? Do we treat our workers or co-workers as if Jesus is Lord or as if we are? May our final word in all that we do be Jesus is Lord. Therefore let us live into that reality today by treating others justly and working towards the liberation and freedom of all people, working towards an end to all forms of oppression and healing for all of creation. How are we supposed to align these two statements of Jesus? On the one hand he says he gives peace, on the other hand he says he does not. What we must remember is that there are more than one kinds of peace. The peace of Jesus’s day was the Pax Romana, the peace of Rome bought through the blood spilled by the Roman Legions. In the Matthew passage, we remember that Jesus does not bring the peace of Rome. This is not a peace where the blood is on other people’s hands. That, in fact, is no peace. Jesus does not come to support the status quo or to replace the Romans with Jews and still win that victory on the blood of the barbarians. The peace Jesus leaves with us is tied to God’s justice. God doesn’t call us to wash our hands so others will dirty theirs. Instead we are called to be a people of shalom. This is not a statement about the military or those serving or who have served around the world. What kind of people are we called to be and do we believe God has the power to make that possible? It is an act of faith to be a people striving for peace, striving for justice, and freedom. These are words that are continually hollowed out by the ways many governments are run. They sound good but the decisions and actions necessary to make them last are hard. And ultimately, the Christian faith is not in our ability as peacemakers but God’s sovereignty over all creation. We are called to be witnesses to the victory Christ has won. One of my teachers, a famous pacifist, was asked in class where is peace to be found in this world of violence. His answer was only slightly tongue-in-cheek: a baseball game. At a baseball game, people aren’t killing each other. May we be a church that is at least as peaceful as a baseball game, that is dedicated to peace and promoting reconciliation in our own neighborhoods and around the world. Another teacher who runs a gang rehabilitation ministry once described what he did as breaking up fights. May we be a church that breaks up fights, that stands between people and points to the ultimate peacemaker, the one who sought peace so much he gave his life for us all that we may have hope. The original social creed of the Methodist Churches was originally put together during a period of deep societal unrest, especially between the working classes and the owning classes. Since then, there have been hundreds of labor laws put into effect in the United States which addresses many of the concerns of the first social creed: child labor, 40 hour work week, right to collectively bargain, etc..
Because there have been advances in labor rights over the last 100 years does not mean that we as a church should cease to believe in the right and duty of persons to work for the glory of God and the good of themselves and others. The church should not be passive in this, though often times we are. What does Jesus have to do with where I work and how I treat my employees? A lot, actually. Being a faithful Christian, treating employees and workers fairly and kindly does not contradict good business practices. If your business model is based on exploiting others, then it would be hard to cohere that practice with the Christian faith. Our lives and labor is not neutral. We have to practice belief that each person is created in the image of God. Does this mean that the church should be on the front lines of every strike? No. However, strikes should not be dismissed flippantly. You may not agree with the demands of a worker’s grievance. You may wish people were more grateful. And yet we must believe in the agency and humanity of all people, and especially all workers who are so easily exploited in our day. The social creed frames these ideas around worker rights in the context of God’s gift of property to us all. What we own is held in trust from God. The people who work for us and work in society are not owned by their employers. They are not property to be disposed with or abused at will. To believe that each person is created in the image of Christ means that sometimes they will act and behave and make demands that I don’t like, but this does not make them lose their humanity. That is the heart of the matter. We cannot just love people on Sundays and then try to exploit them the rest of the week. Nor should we rest with just our own behavior but hope and work for a society beyond exploitation, where all people regardless of what they do or where they are from, can be treated with respect and given space for glorifying God through how they work and live and save and give. The church is not just for the people in the church. This may seem obvious but it is an important notion to articulate. We do not exist solely to perpetuate our continual existence. As well, the mission of the church, the Good News of Jesus Christ does not mean that we must choose between evangelism and social justice. Jesus never distinguishes between his preaching, teaching, and healing. The Good News of Jesus Christ is eternal life AND the Good News of Jesus Christ is that we can live into the Kingdom of God now. Right now. A myriad of scriptures, from James to Matthew to Isaiah, point to this reality. As Methodists, the Social Creed help us to remember our holistic duty in following Jesus towards all people, whether they are going to convert or not. God is the one who transforms hearts. At our best, we are vessels of God's action in this world. We are the manos y pies, the hands and feet of Christ. The UMC Social Creed commits us to the rights of all individuals. "We commit ourselves to the rights of men, women, children, youth, young adults, the aging, and people with disabilities; to improvement of the quality of life; and to the rights and dignity of all persons." In this, the church commits to being an intergenerational body. We cannot be satisfied if our sanctuaries are only filled with the young or the not-so-young. And we cannot turn a blind eye to the consequences of our actions, as individuals or as a church, for the rights of others. The dignity of every person is based on the theological concept of the imago dei, the image of God. Each person is created in God's image and his of intrinsic value and sacred worth. Rights language itself is rather modern and connected more to the nation-state than the Church, yet the idea is as old as Torah. Are we a church committed to the rights of all people? Are we a church that interrogates the consequences of our actions on others? Are we a church that works towards the improvement of the lives of all people? No person, no matter where they are from or what they do, is worth more than another. We are all God's children. Thanks be to God. We do not create ourselves. One of the great modern myths is that I can be anything I want to be. In Classical Mythology, this idea was called hubris and it always ended poorly. Icarus tried to fly too close to the sun. His wings melted and fell to the earth and died. Prometheus stole the fire of the Gods and was sentenced to eternal punishment. Here we have four sources of social blessings: community, sexuality, marriage, and the family. These categories do not need to be seen as distinct, nor do must they be understood as only taking place within the Christian community. The blessings of community take both inside and outside of the church. It is good to see the blessings of a healthy work environment, of a community group, of a garden club, of a neighborhood, each as springing forth from God’s abundant goodness. The same is true with sexuality, marriage, and the family. The goodness and blessings that can be found in each need not be explicitly described as Christian in order to come from God. As well, it is important to note that each of these (as well as community) can be locations of severe abuse by people. The social does not state that community et al., in and of itself is a blessing, but that blessings arise out of community et al. and those blessings come from God. The community provides the potential for nurturing human beings into the fullness of their humanity. We believe we have a responsibility to innovate, sponsor, and evaluate new forms of community that will encourage development of the fullest potential in individuals. Primary for us is the gospel understanding that all persons are important—because they are human beings created by God and loved through and by Jesus Christ and not because they have merited significance. We therefore support social climates in which human communities are maintained and strengthened for the sake of all persons and their growth. As a church, we believe that we should work to support our communities, individuals, and families in the aim of flourishing as children of God in all that we do.